Once, the greatest advance in dentistry was the move to new anesthetics, which made painless treatment possible. Innovation hardly stopped there, and today, there are exciting new technologies that make your dental visits even more comfortable. 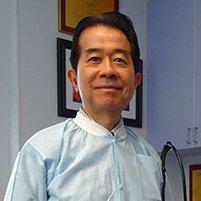 Dr. Cheng H. Tai, DDS, MS, PC, in Midtown Manhattan, prides himself on keeping his practice on the cutting edge of dental technology. Make an appointment to learn about how new systems such as iTero® Element™ or Waterlase® can help you. What are some new changes in dental technology? Overall, one of the biggest changes you’ll see is that many dental disciplines that were once divided between various dental specialists are now offered by your regular dentist. For example, where once you’d need an orthodontist to deal with any issue involving alignment of your teeth, Invisalign® has a system that can handle many repositioning tasks. Working in concert with the Invisalign system, as well as having many other uses, the iTero Element intraoral scanner creates digital impressions of your teeth without the discomfort of traditional methods. Drilling has always been a sensitive issue with patients. Even when there’s no pain due to anesthesia, the sound and feel of dental drilling makes many patients squirm. The Waterlase system uses laser energy and water to perform several dental procedures with virtually no pain and little other damage. You can think of the Invisalign system as a form-fitting, clear mouthpiece, not dissimilar to a sports mouthguard, but much smaller and more elegant, virtually invisible when you’re wearing it. Yet, the special material of the Invisalign aligners is strong enough to progressively move your teeth from their original position to their ideal location. The iTero scanner allows Dr. Tai to create a 3-D scan of your teeth, then plan the course of your Invisalign treatment. A series of mouthpieces are manufactured, and you simply wear them each for about a week or two, in series, until your teeth are in the right place. The aligners are removable, so you simply take it off to eat or brush your teeth, wearing it the rest of the time. Does the iTero scanner have uses besides tooth alignment? Yes. The precision scanning of the iTero system replaces the need for bulky impression molds, which can be uncomfortable, causing you to gag as physical impressions are made. If you’re having dental restoration work done, iTero provides the lab with ultra-precise data from which bridges, crowns, and veneers can be made. Instead of a drill, Waterlase sends a stream of water which is excited by laser energy. It’s still performing drill operations, but due to the way it works, there’s typically no need for anesthesia. It simply causes no pain, so cavities can be repaired with no freezing, no gum damage, and no drill.